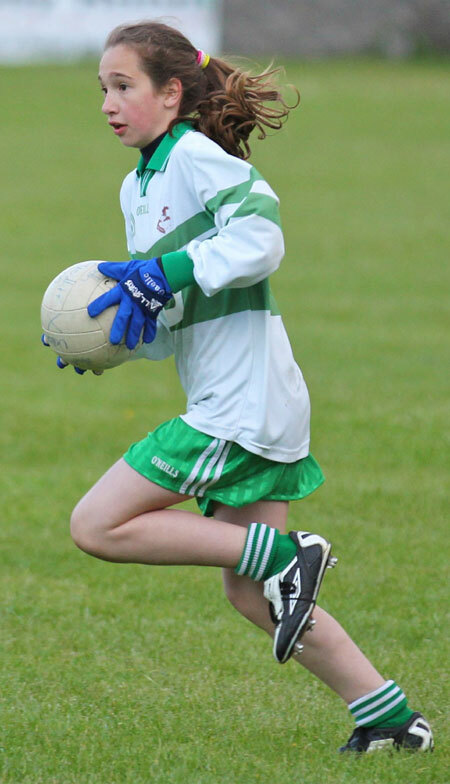 Last Wednesday evening the Aodh Ruadh Under 12s hosted the Willie Rogers tournament. 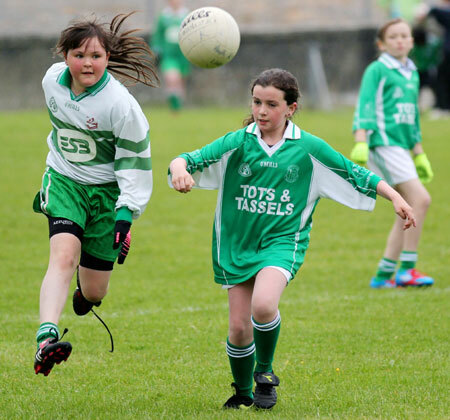 On the day teams from Bundoran, Erne Gaels, Four Masters and Saint Naul's visited Father Tierney park for an evening of highly skilled football. 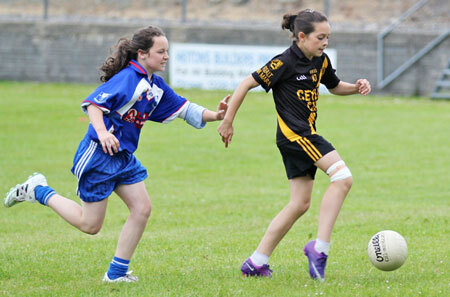 The tournament commenced with Aodh Ruadh taking on near neighbours, Bundoran. 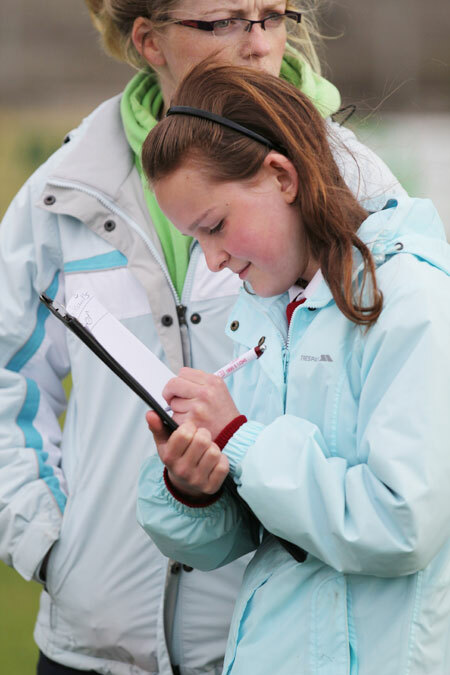 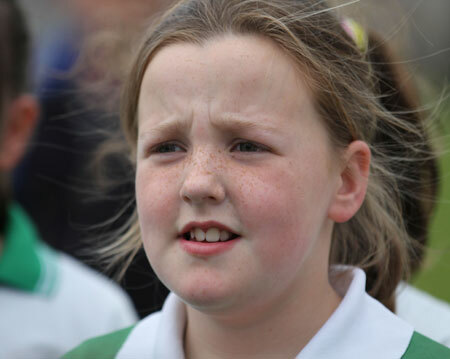 Unfortunately the girls were beaten by the narrowest of margins. 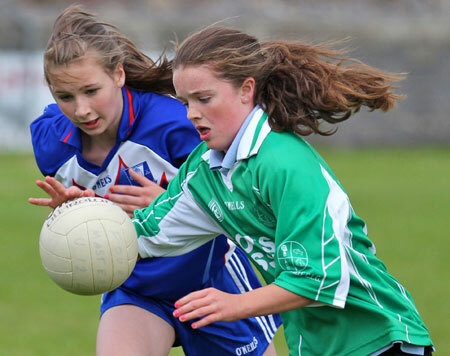 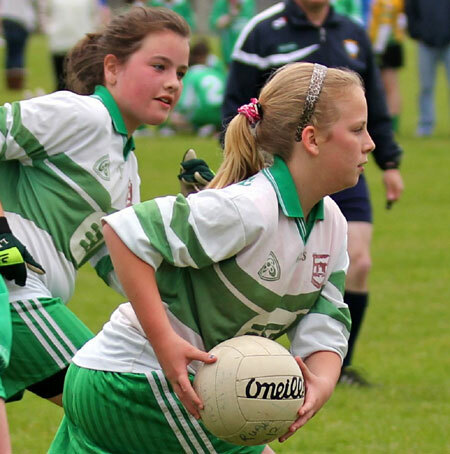 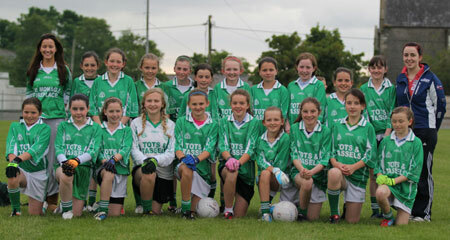 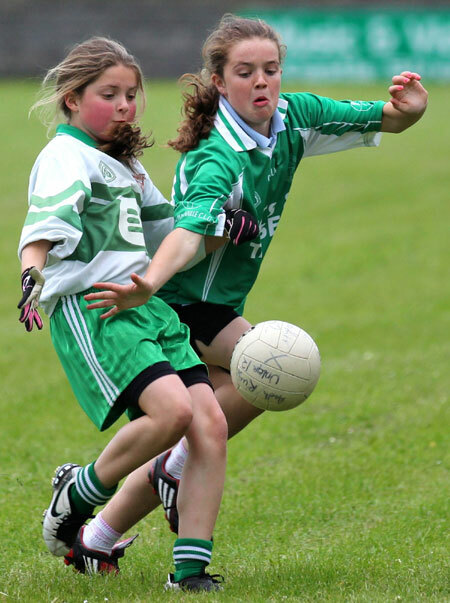 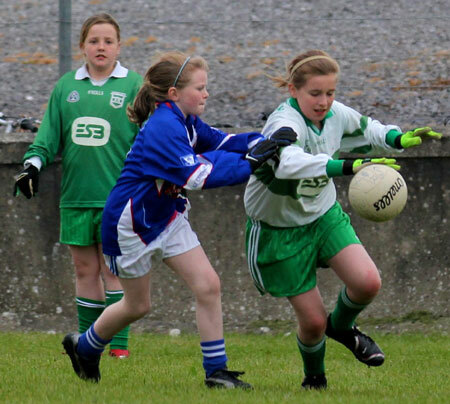 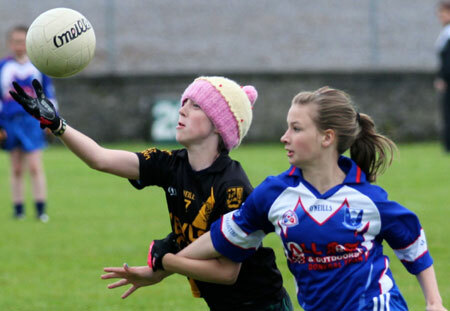 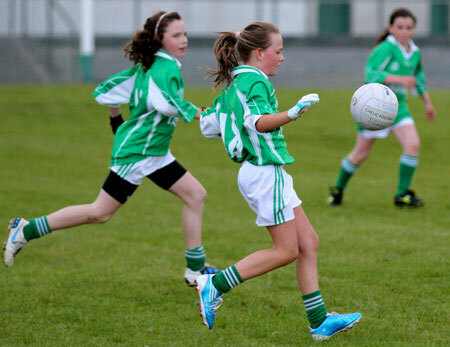 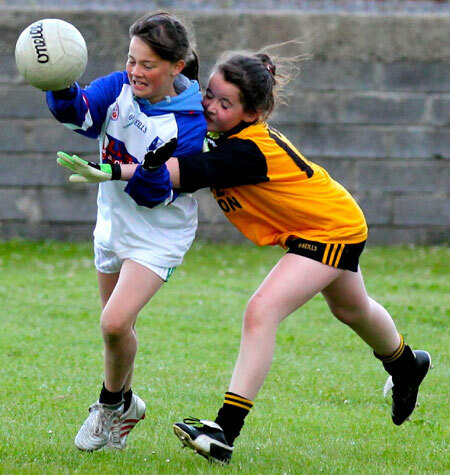 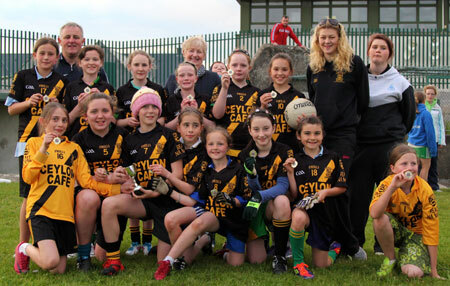 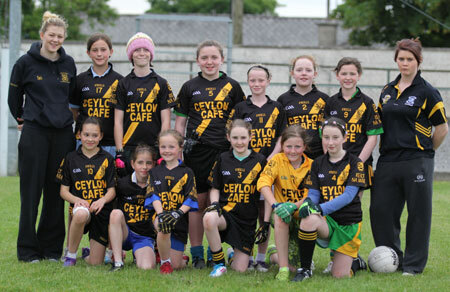 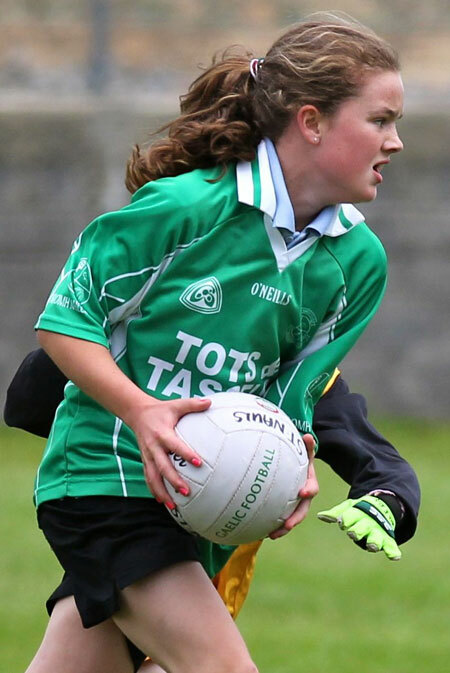 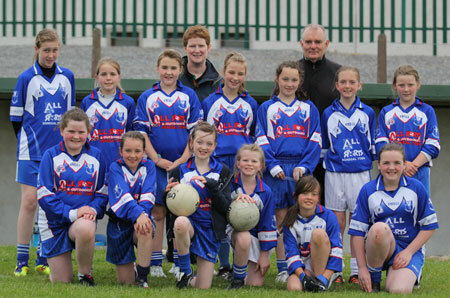 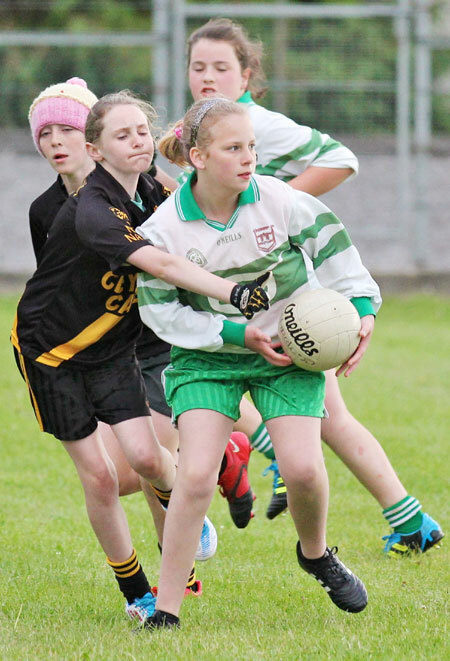 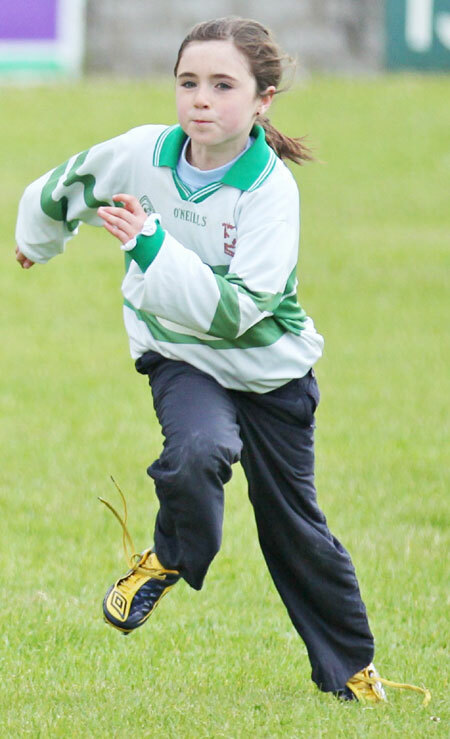 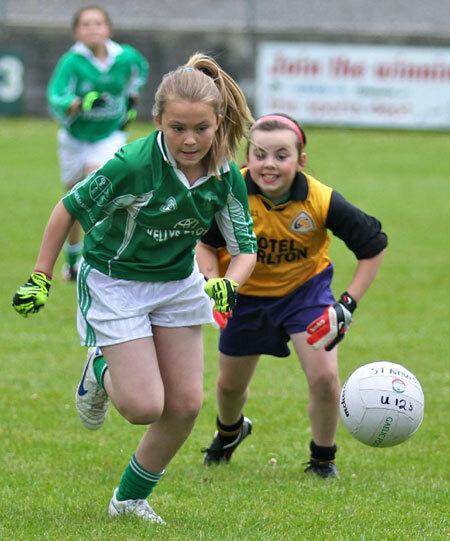 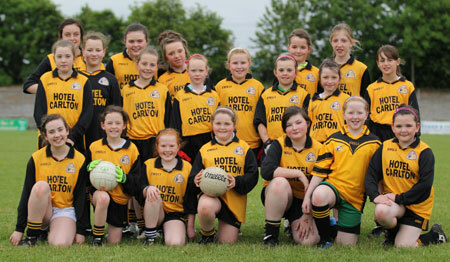 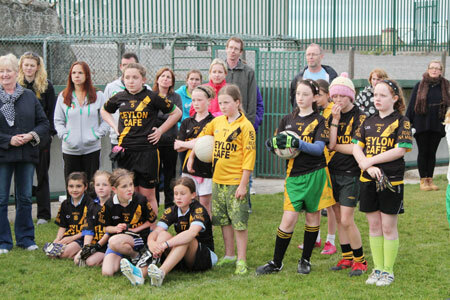 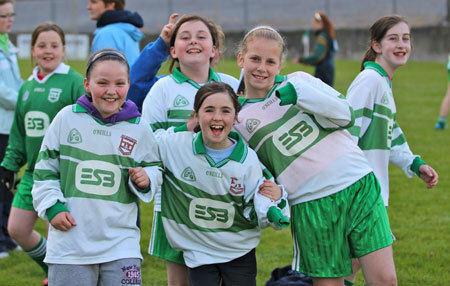 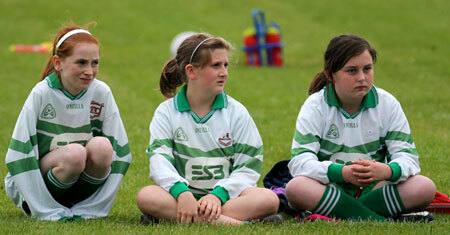 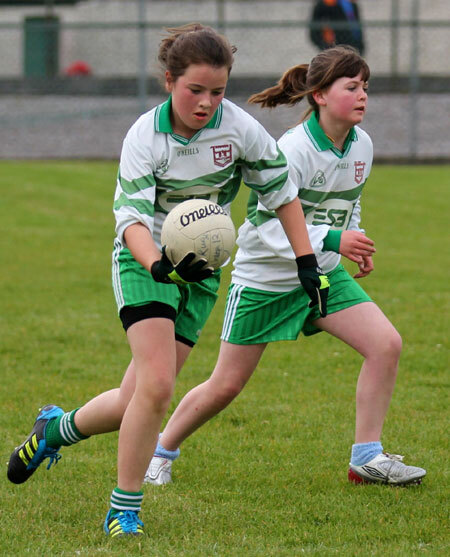 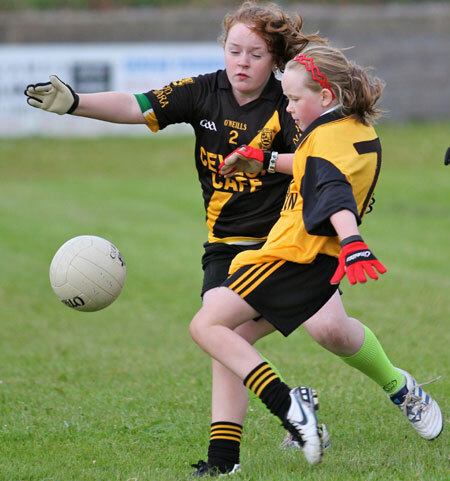 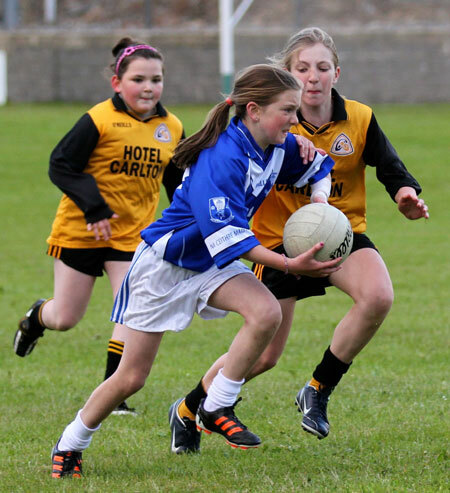 The Aodh Ruadh girls were then faced with Four Masters, Erne Gaels and Saint Naul's all in quick succession. 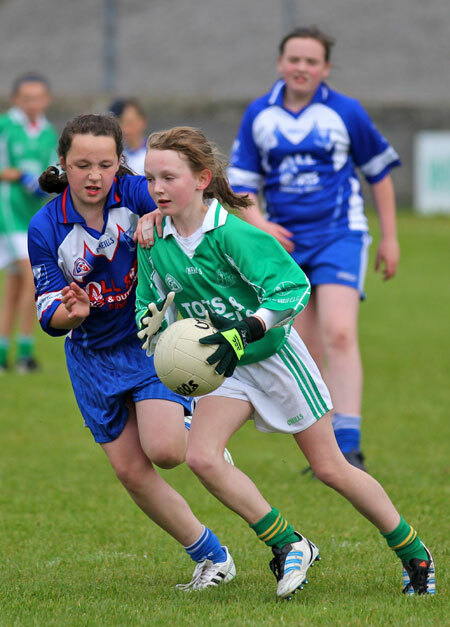 After their first defeat they girls certainly found their form with some sharp shooting from Tara Duffy and Bronagh Kelly sweeping up every ball in the full back line, the girls made things very difficult for the opposition. 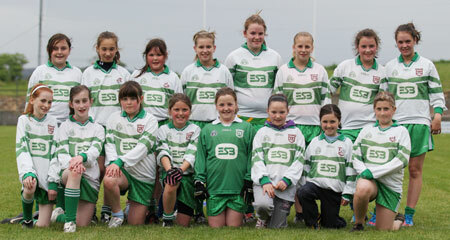 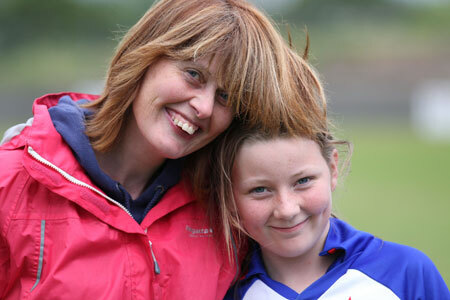 The homesters came out on top on all three occasions, which lead to them facing Bundoran again in the final. 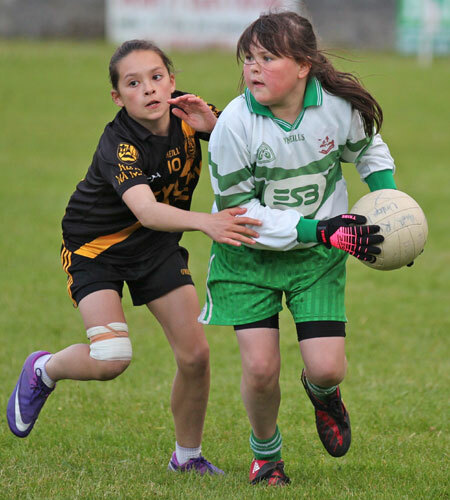 The final was yet another tightly contested game with both sides battling hard from beginning to end. 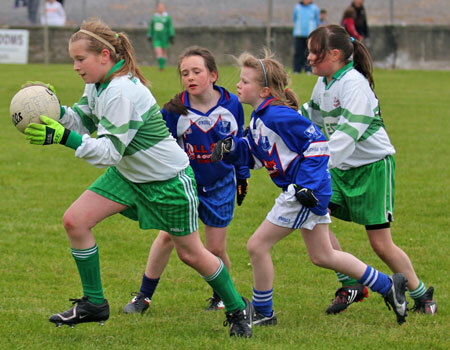 Once again however, the girls from Bundoran proved too strong for the Aodh Ruadh ladies, and were the eventual winners of the Willie Rogers tournament. 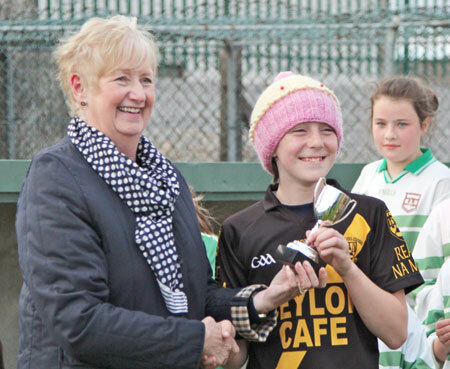 Renee Rogers was on hand to present the cup to Bundoran captain Megan McEniff. 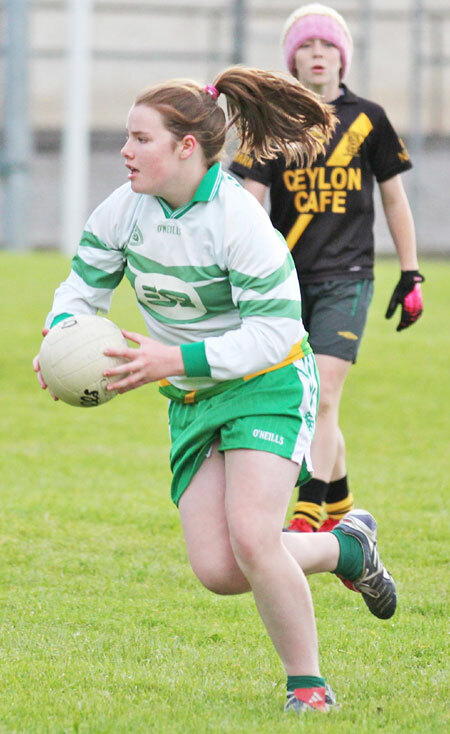 The Aodh Ruadh team was: Brid�n Maguire, Bronagh Kelly, Rionach Sheerin, Niamh Duffy, Laoise Gallagher, Rois�n Maguire, Rois�n Meehan, Dearbhaile McGuckin, Tara Duffy, C�it Gillespie, Valarie Harley, Sarah Drummond, Rois�n Gallagher, Sh�na Slevin, Caitlin McLoughlin and S�ofra Hughes.